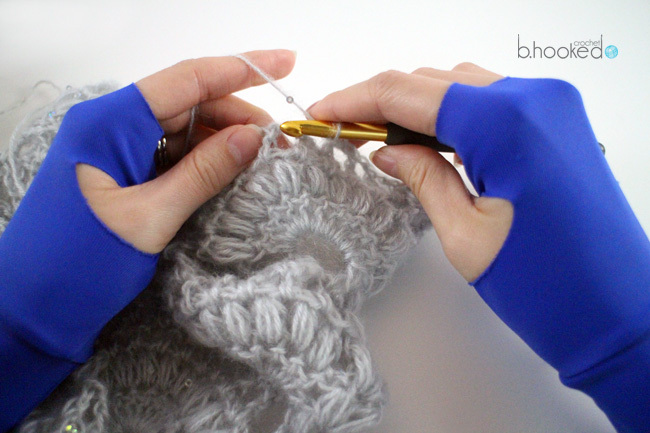 Do you have tired, achy hands when crocheting? There’s nothing worse than being passionate about a hobby that physically makes you sore. I know this because I began to experience hand and wrist pain not long after discovering the wonderful world of crochet. There were some days I wanted, or needed to crochet, but my hands and wrists had other plans. Unfortunately, most crocheters experience this at some point or another. 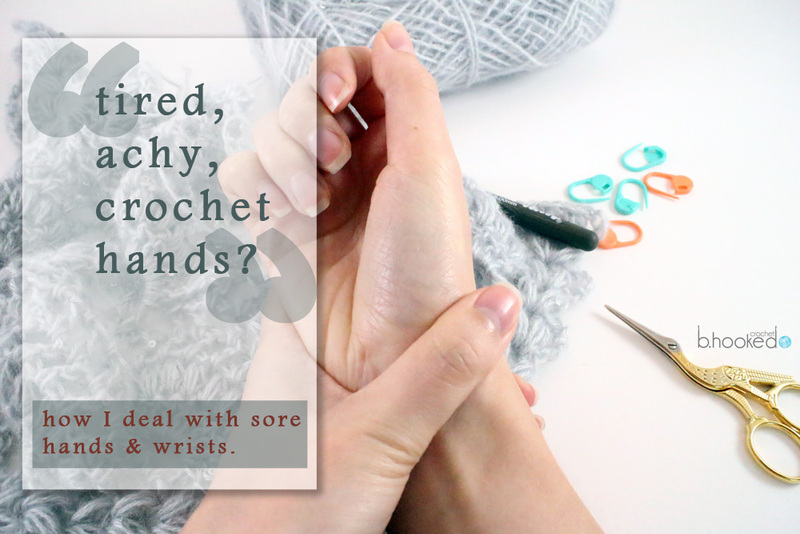 It’s natural for our hands and wrists to become tired and stiff when crocheting. Think about it, we are twisting and turning several bones and joints over and over for hours! But how do you know when to give your hands and wrists a break? Your hands will surely tell you. For me, the pain started in the tendon where my hand meets my wrist on my “hook hand”. Crocheting for an hour or so didn’t cause too much pain but on marathon crochet weekends (yes this happens!) the pain was quite severe. The only “cure” was to put my hook down for several days. If I tried to power through it, my thumb and pinky would “tingle” as if they were falling asleep. Everyone is different. Some suffer from general hand and wrist fatigue like me but others suffer from a more serious condition, arthritis. My fear is that my hobby will increase my chances of developing arthritis. I understand the nature of the aches and pains involved with crochet, the hobby that I love. But in all honesty, I don’t think I could give it up even if I had to. The relaxing repetitive motions and sense of accomplishment it provides outweigh the risk of hand and wrist injury or long term affects. I can, however, provide support for my hands while I’m still young. My solution (to my tired, achy hands) is to wear stress relief gloves when crocheting more than 1-2 hours at a time. I’ll be completely honest, they take quite a bit of getting used to. The compression is strong in order for them to do their job properly and I struggled with this around my thumb. After about two weeks of wear, I became accustomed to the feel of them on my hands. I was a little surprised that it took so long to get used to them but the real surprise came when I crocheted one Saturday without them. The fatigue returned with a vengeance. I had spent so much time trying to “get used” to them that I hadn’t realized how much they were helping. But are they worth trying? Absolutely. Everyone will have a slightly different experience with them and that is why you have to listen to your hands and wrists. But if aches and pains are keeping you from doing what you love, definitely give them a try. I have put together a little review of the Lion Brand Stress Relief Gloves, which are the pair I decided were right for me. Have a look at my video and decide if they are right for you too. What do you have to lose? As you can see from the video, these stress relief gloves are definitely worth a try. Are they for everyone? No, maybe not, but they certainly help me on days when binge crocheting is both required and desired. If you would like to give them a try, you have a few options. They are available at most craft stores (in my area, Joann’s and Hobby Lobby) and you can also purchase them directly from Lion Brand. Disclosure: Please note that the links below are affiliate links, and at no additional cost to you, I will earn a commission if you decide to purchase the Lion Brand Stress Relief Gloves online. Please understand that I have experience with this product, and I recommend it because they are helpful and useful, not because of the small commissions I make if you decide to buy them. If you have received valuable information from me at any point, using one of these links is one easy way to say thank you for a job well done. Have you used the Lion Brand Stress Relief Gloves? I would love to hear your experience with them. Please leave a comment below! Great article. While I do have some pain in my hands, the most pain is between my wrist and elbow, and sometimes in my shoulder. Is there anything for these areas that would help? Hi! I found your blog through the link on FB today. I just watend to say HI and it’s nice to meet you. I live in FL as well and am just starting out homeschooling my son. I look forward to reading more of your blog, i’m sure I could glean a lot from your experience. Thanks so much for this review! I had no idea there was anything out there that could potentially help my poor hands!! I LOVE these gloves! 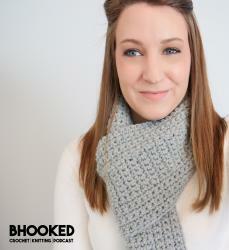 I have a pair at home for my knitting, crocheting, and even cross stitch. I also have a pair at work because I type all day and that can be murder on my hands. That’s great feedback. Thank you for sharing your experience with them! Hi Chris, thank you for your interest! In the photograph I am working on a pattern in the works that will be released as a tutorial in the fall, so please stay tuned! Thank you. My aunt saw a afghan with a similar pattern that I told her I would make. Will be a nice Christmas present. Looking forward to enjoying your site. Please consider a version of your stress relief gloves that would have thumb support.